Writers Ben Suissa & Scott Kushner join host Ryan Sullivan. 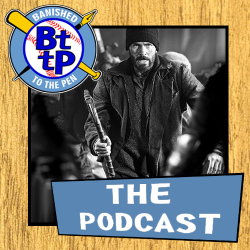 Scott recaps his Centenary College baseball team’s season, then the group discusses fan safety, the designated hitter, signal systems, and whether the Astros are for real. 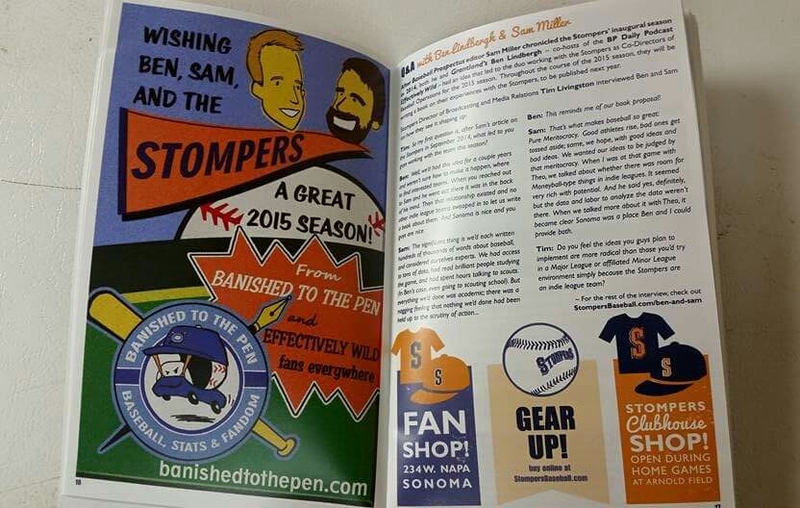 Staff writers Nick Strangis and Tyler Baber join host Ryan Sullivan to talk Up & In and Sonoma Stompers. Mike Ferrin, formerly of Fringe Average and currently of MLB Network Radio, joins Ryan Sullivan to talk about the legacy of the Up and In podcast, and weighs in on the Mets, Yankees. Nationals, and Orioles. 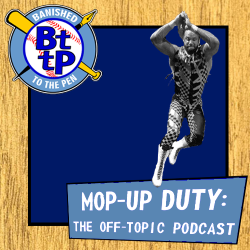 Matt Jackson, currently of Beyond the Box Score, and our Nick Koss join Ryan Sullivan to talk about Alex Rodriguez, the Astros, Royals, and the weirdness of 2015 so far. 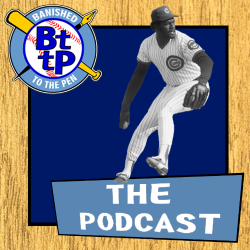 Writers Alec “AD” Denton and Stephen Shaw join guest host Brandon Lee to talk about Statcast, the Cubs, the Tigers, the rough & tumble AL Central, Joe Nathan, and the DH. Wisconsinite Ross Bukouricz & Montanan George Kimmet join host Ryan Sullivan to talk about the Milwaukee Brewers, and life as an official scorer in the minor leagues. 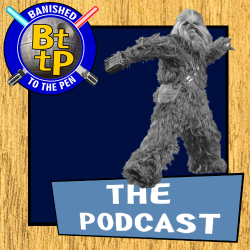 Plus, an important BttP ottoneu League update for week 1. A special Friday edition of the podcast, and the audio portion of Matt Trueblood’s farewell tour. Our senior writer will be departing the pen to join the starting rotation at Baseball Prospectus. On this episode, he joins Mikey Poley and Ryan Sullivan as they also talk about Cleveland, Cuba, surveying analytics use around MLB, and what to look for in the 2015 season. Congratulations to Matt from all of us at Banished to the Pen. Staff writers Ben Suissa (in Toronto) and Mark Sands (in Michigan) join Ryan Sullivan to discuss the Astros, Tigers, and Blue Jays, as well as the new pace of game rules.